Creativity Unlimited : Scope of Architecture as profession | Archi-fied! 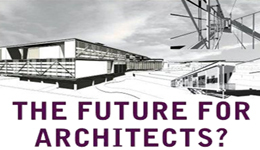 A profession in architecture is much sought after now-a-days…. With the proliferation of urban settlements and conglomerations, the field of architecture has become an important and much sought after profession. The profession basically is a mixture of artistic creativity and engineering skills. Architects are responsible for the planning, designing and supervision of construction of all types of buildings-residential houses and complexes, educational and commercial complexes, hospitals, hotels, houses of worship and many more. The design of buildings involves far more than aesthetics. Buildings must also be functional, safe, economical and must suit the requirements of the people who use them. Architecture also relies on technology and materials science to ensure that the structures withstand heavy loads and stresses. Architects take all these aspects into consideration while designing buildings. The job of architects begins with consultation with their clients to ascertain their wishes and needs. They then prepare a set of plans within the limits of those wishes which, upon the approval of the client, are developed into final designs and working drawings. The final design shows the exact dimensions of every portion of the proposed building including the location of electrical facilities, windows, doors and all other features of the building. He also makes drawings and models that show how the building will look after it is completed. At the planning stage he is required to take into consideration, among others, local and state regulations (for example, National Building Code) concerning construction of buildings, climate, soil in which the building is to be constructed, fire regulations, and financial limitations of the client. At the construction stage, he works closely with civil and structural engineers. They also work with many different contractors who actually build the structure. He generally receives a percentage of the construction budget as his fees. The role of present day architects is not limited only to the construction of buildings. They are now being increasingly called upon to undertake two more tasks – landscape architecture and regional and urban planning. Every one enjoys attractively designed residential areas, public parks, universities and college campuses, shopping centers golf courses and industrial parks. Landscape architects design these areas so that they are not only functional but aesthetic and environmentally appropriate as well. They plan the location of the buildings and roads and the arrangement of flowers, shrubs and trees and other features of open space. Natural resource conservation and heritage preservation are other important aspects to which landscape architects apply their knowledge of the environment as well as their design and artistic talents. People who are interested in architecture should possess several aptitudes and interests found in businessmen and entrepreneurs creative artists and engineers. After the completion of a degree in architecture many job opportunities are available in government as well as private architectural firms. Architecture graduates can start as architectural assistants or junior designers under the guidance of experienced professionals. After gaining further experience they can aspire to become a junior architect, and in due course of time, after gaining sufficient experience and confidence, architects can start independent practice, establishing their own firms. Architects can also take up employment in public works department authorities. Architects are now also being called upon to undertake the task of conserving heritage buildings. Computers have now revolutionized the offices of architects with advent of computer-aided design software such as 3D Studio Max and Auto CAD, the entire concept of designing and modelling. Familiarity with CAD is now an essential requirement for the architects. Although the subject has not been incorporated formally in the syllabuses of many universities, the present generation of architects must learn the art and science of CAD.